With the Russian Romantic mainstays of Glinka’s Overture to Ruslan and Ludmila and Tchaikovsky’s fifth symphony, the Boston Philharmonic Orchestra, under the direction of Ben Zander, kicked off its 35th season. Pianist Jue Wang joined the orchestra for Prokofiev’s second piano concerto. The Sanders Theatre concert showcased the strengths of ensemble and soloist. Since this was a part of the Philharmonic’s Discovery Series, Zander spoke to the audience before each work, his folksy style making a hit with the house. I was struck by his agility in presenting musical details in an accessible way. Sometimes he over-generalized, but on the whole his talk with illustrative excerpts from the orchestra is a wonderful way to engage audiences and increase their knowledge of the music they hear. I find this so much more rewarding than the presentations of Rob Kapilow, which essay similar terrain. I do wish Zander’s remarks had been tighter, though, and more concise; the concert started at 7:30 (more like 7:40) and did not finish until 10:22. Lengthy works of music plus lengthy remarks made for a lengthy evening. The program began with Mikhail Glinka’s Overture to Ruslan and Ludmila (1842). This delightful opener enjoys a life independent of the opera. While its two themes come from the now rarely-performed opera, the overture is a miniature masterpiece of orchestration and adaptation of Russian folk music to classical music forms. This performance was ebullient but a bit too fast—for the music and for the space, but assuredly not for the orchestra, which followed Zander’s rapid baton with ease. In the rush I felt some of the beauty of Glinka’s music was lost. 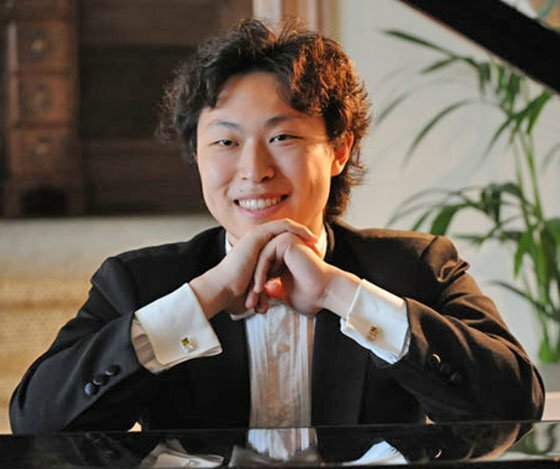 For his Boston début, Jue Wang soloed in Sergei Prokofiev’s Concerto No. 2 in G Minor for piano and orchestra, Op. 16 (1924 reworking of 1915 original). Zander announced that neither he nor any of the orchestra had played this piece previously, so for them it was a joyous discovery. He also averred that Wang would offer a more poetic, less muscular, reading of this concerto. I have known and loved this work for many years in the Michel Béroff recording with Kurt Masur conducting the Leipzig Gewandhaus Orchestra; it was a revelation to hear the work performed live, even as I noticed all the differences of interpretation. Wang’s tempi are decidedly slower than Béroff’s, and the music acquires a different character as a result. The first movement, Andantino – Allegretto – Andantino, opened slowly, meditatively, with a tender caress of the keyboard, which built in intensity as the movement progressed while always retaining a sense of delicacy. Moments of gorgeous sound unfurled with poise, as heightened forte passages added dynamism and contrast. The slower tempo and quieter dynamics allowed a greater palette of colors to sound forth. The second movement, Scherzo: Vivace, is a moto perpetuo that was a soaring, if rapid flight played here with great accomplishment. This movement never felt manic, only ever exhilarating. The third movement, Intermezzo: Allegro moderato, evoked for the pianist Sviatoslav Richter “a dragon devouring its young.” Only in this movement did I wish for a faster tempo, as the weighty and ponderous opening theme lost some of its ominous edge, its ferocity, in this performance. This reading of the Intermezzo was more stylized and stately, playing up Prokofiev’s ironic take on 18th-century music, but leaving that at odds with the gruff beginning. The Finale: Allegro tempestoso embarked with great energy and rapidity. While this concerto is one of the most difficult in the repertoire, Wang and the BPO rose to its manifold challenges. Following intermission and Zander’s continuing remarks, the evening concluded with Pyotr Ilyich Tchaikovsky’s Symphony No. 5 in E Minor Op. 64. This work represents an engagement with fate, and some emotional upheaval (this being, after all, music by Tchaikovsky), but it is also an efflorescence of lush romanticism. The first movement, Andante – Allegro con anima, was powerful and held a constant sense of movement. The second, Andante cantabile, con alcuna licenza, was tender, lush, perlucid. The third, Valse: Allegro moderato, was remarkably weighty. The fourth movement, Finale: Andante maestoso – Allegro vivace – Moderato assai e molto maestoso was a study in vigor and determination, with a presence truly befitting the designation “maestoso.” This performance was emotionally charged, but bereft of the angst of some performances. Until this performance I had never heard the piece as balletic, but I left the concert with that overarching reaction. It was, I think, the clarity, the lucidity, of the ensemble which allowed all the voices to shine through, so that the moving line was always prominent. The tightly controlled tempi reinforced this comparison with ballet music. This was a particular interpretation of the fifth—one guaranteed to provoke thought. This concert repeats Friday at 8pm in Jordan Hall, and Sunday at 3 pm in Sanders Theatre.